There are currently 5.4 million small-medium sized enterprises (SMEs) in the UK (250 employees or less). Together with the 5.1 million microbusinesses (0-9 employees), this sector is responsible for 18% of the year’s total turnover. 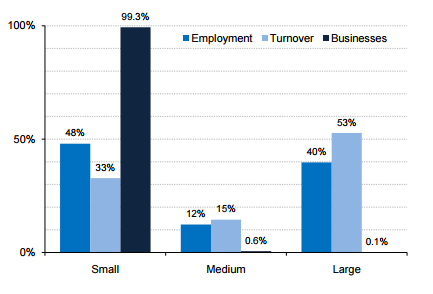 Based on this graph, it is evident that SMEs make up the majority of businesses in the UK and although large businesses provide more turnover, SMEs are credited with 60% of private sector employment in the UK. Over the last year more than half a million start-ups launched, increasing the demand for commercial space. As one of the most prominent business locations, London beats Hong Kong’s central business district for being the most expensive city in which to rent office space. Despite this, continued economic growth has left entrepreneurs still wanting to establish their businesses within the City. 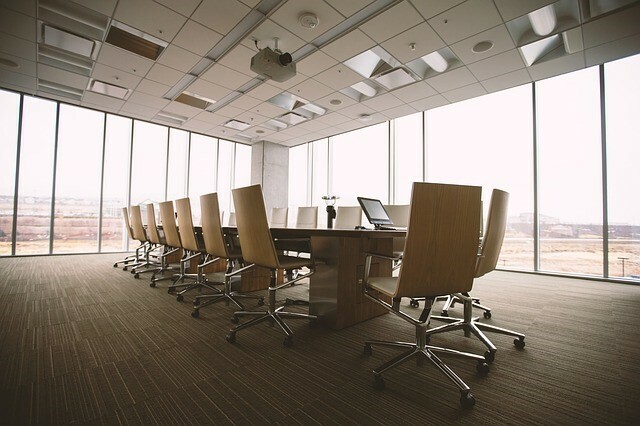 Many businesses continue to seek virtual office services in order to secure an impressive business address, phone services and on-site meeting space in a chosen and prestigious location. Why are virtual offices better than real offices? Imagine this: a business based in a prominent city, a receptionist or other call answering services but perhaps more importantly – a professional image without expensive accommodation costs! – The client will be left with the impression that your business is not just a simple, small-league enterprise due to your location. – Acquiring a virtual office address is practical for SMEs and start-ups as it spares them from the costs associated with expensive office spaces. – For busy business owners that have limited time, virtual office service providers can also provide call answering services on behalf of their clients. – Virtual offices complement remote working which makes up 13.7% (4.2 million people) in the UK. This number has risen to more than 800,000 since 2005, according to the Trade Union Congress (TUC). How can SMEs benefit from virtual offices in the UK? While working from home allows more flexible working hours, this may sometimes fail to attract your targeted clients when they see your address. Competition in the UK is great and a professional image afforded by a prestigious address is one of the key factors to consider. Virtual offices give businesses a renowned office address in the City which creates a professional image. London is a place where local and international businesses are linked and a virtual office in this prime location could open up many more business opportunities. Wembley has three stations, tube and rail lines so the area is well supported by public transport. Wembley Park has the most reliable broadband in London, which is good for companies that need high-speed Internet access. This is one of the most exclusive addresses in London. Most buildings have modern facilities that are suitable for high-volume employee firms. If you are in the banking and finance sector this is a great place to setup business. Considered as one of the greatest contributors to the economic recovery, Milton Keynes is home to some international giants such as Marshall Amplification, Suzuki, Volkswagen and Mercedes-Benz. Practical, accessible, affordable, virtual offices play a vital role in the UK’s economy. This entry was posted in Blog on 4th September 2015 by Julie Tucker.